Comet is an active member of the Canadian Association of Chemical Distributors (CACD), and endorses Responsible Care of chemicals through the Canadian Chemical Producers Association (CCPA). The company holds a recognized certification of the CACD Responsible Distribution Code. 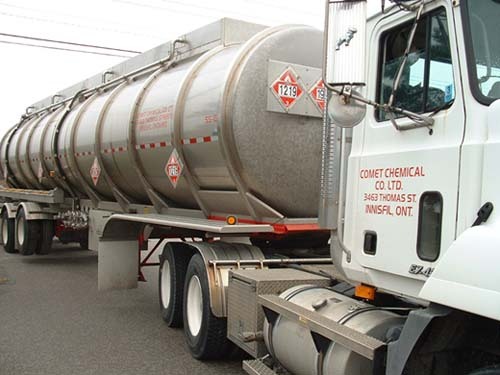 Comet Chemical is an approved distributor for Dow Chemical, Sasol Chemical, Suncor Chemical and other specialty chemical manufacturers worldwide. Comet is able to offer prompt and reliable service to over 500 customers across Ontario with its on-site rail capabilities as well as bulk storage and warehousing located in Innisfil Ontario, just 70 km north of Toronto.